Tired of dry and flavorless turkey? 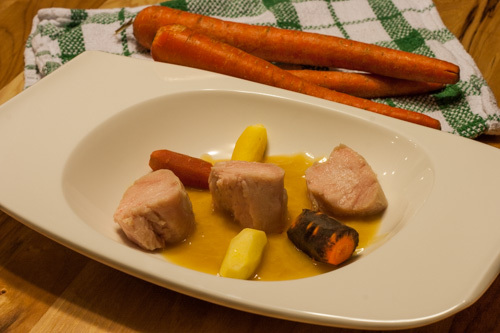 Brining and then cooking turkey sous vide results in a juicy and flavorful piece of meat with no resemblance to the boring Butterball of past. Pairing this with a velouté based on chicken stock gives the dish a warm and hearty feel, but don’t forget the brioche to soak up all those great flavors. Try something new this Thanksgiving and check out some other festive recipes used in a recent Modernist Thanksgiving themed dinner party. Combine the apple cider, milk, sugar, and salt in a container and stir to dissolve the dry ingredients to create a brine. 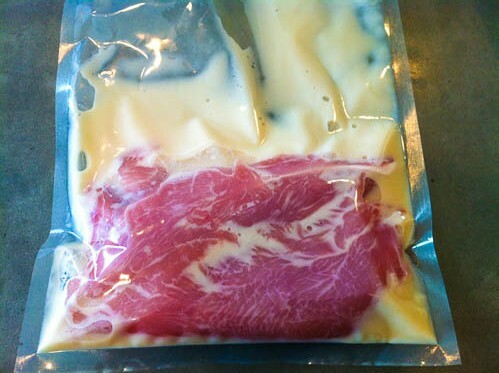 Place the brine and the turkey in a vacuum bag and seal with a chamber vacuum sealer. Alternatively you can use a Ziploc bag and remove as much air as possible. Place the turkey in the refrigerator for 12 hours. Approximately 3 hours prior to service, heat a water bath to 135°F. 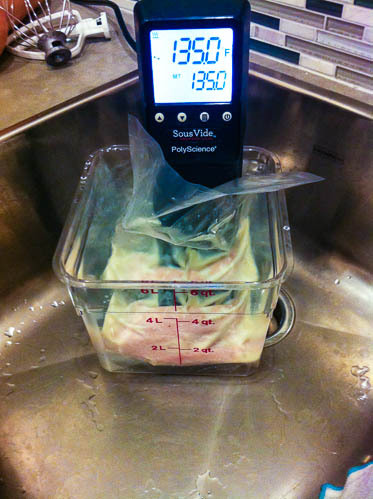 Remove the turkey from the brine, dry, and seal in a new vacuum bag. Cook the turkey sous vide for 2 ½ hours. 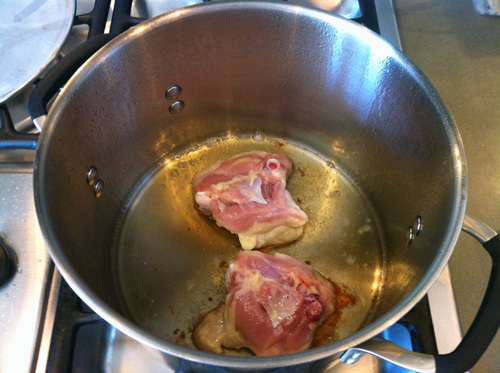 In a stock pot, heat the canola oil over medium high heat and add the chicken leg, skin side down. Sear for 10 minutes or until a nice golden brown crust has formed. Add the onion, celery, and leeks and cook for about 5 minutes or until the vegetables begin to soften. 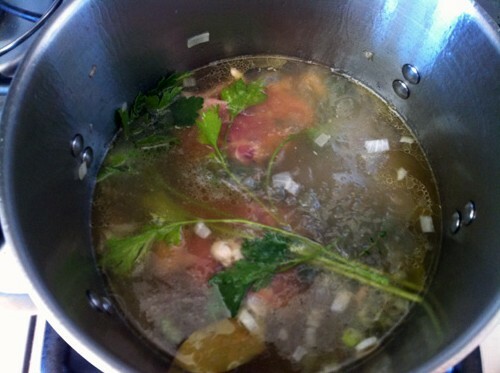 Add the chicken stock, thyme, parsley, and bay leaf and bring to a simmer. Simmer until the mixture has reduced by half (about 1 1/2 hours). When the stock is almost finished reducing, cream together the flour and butter in a small bowl. The resulting mixture should resemble a cookie dough. Once the stock is finished reducing, whisk in the butter and flour mixture ensuring it is entirely incorporated and no clumps remain. Bring the mixture once again to a simmer and cook for 20 minutes on medium low heat stirring frequently. This will cook out any of the raw flour taste. The soup should thicken dramatically and coat the back of a spoon once finished. Strain the mixture through a fine sieve and season with the sherry, salt, and lemon juice. Whisk in the crème fraîche and keep the soup warm until ready to serve. Melt the butter in a pressure cooker. Add the vegetables and salt and stir to coat thoroughly. Fasten the lid and bring the pressure cooker to 1bar, then turn the temperature down to low. Pressure cook the vegetables for three minutes, then run cool water over the pressure cooker to depressurize. 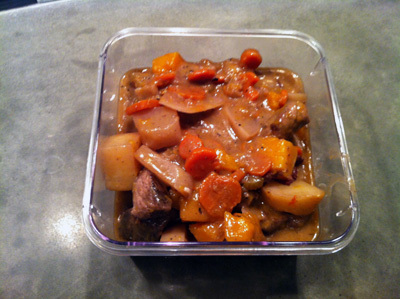 Serve immediately or chill and then reheat in a microwave for 2 minutes. Cut the turkey into small pieces and arrange in a deep bowl. Place 2 of the carrots, 1 radish, and 1 onion in each bowl. 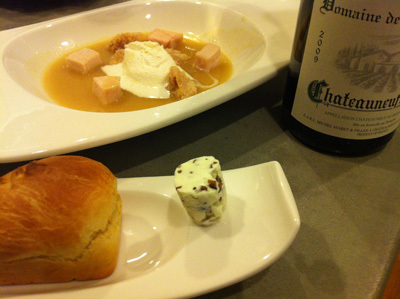 Finish by drizzling the chicken velouté into each dish.